With Outfunnel it’s easy to trigger drip campaigns when a new Pipedrive Contact or Deal is added, a Deal is moved to a specific stage, when a Deal is won or lost or when a custom field is edited. Outfunnel works off of Pipedrive filters for People. Anything you do in Pipedrive for contacts to start matching a filter or stop matching a filter (change the contents of a field, mark a deal “won” or change pipeline stage) can be used to trigger a MailChimp Automation campaign. Here it’s worth pointing out that although Outfunnel only supports filters for People, and not Organizations or Deals, you can use People filters for pretty much anything. For example, say you’d like to send a triggered campaign to people who have open deals in the pipeline stage Negotiations. Furthermore, you only want to target people that have not bought from you before (ie. closed Deals count = 0) and who are in the Real Estate business. You can create a filter for these people in just 40 seconds! Step 1. Define the segment that should receive a drip campaign with a Pipedrive filter. Learn how filters work in Pipedrive. Step 4. 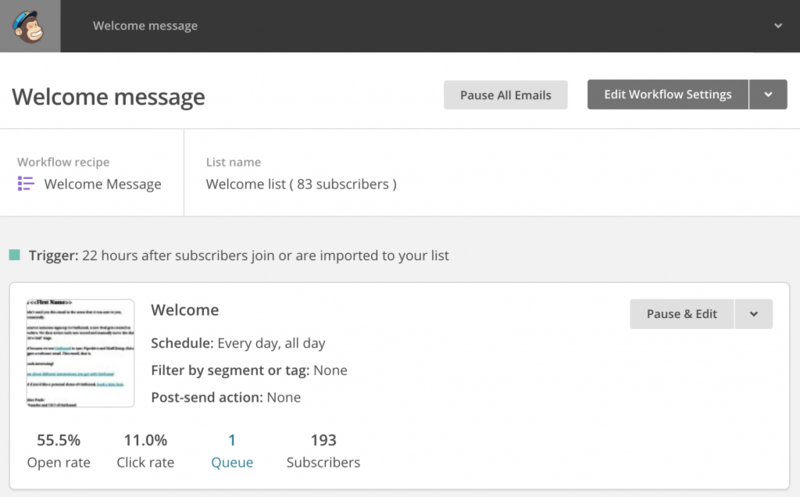 And lastly set up a Mailchimp automated campaign that triggers when people get added to the Mailchimp Audience. We recommend using the “Send when people join or get imported to your Audience” trigger in Mailchimp for that. Please note that when a contact stops matching the filter, Outfunnel will unsubscribe them from the campaign. For example, when you want an email sequence to go out to people in the “Warm lead” pipeline stage, and you move them to the next stage (eg. “Demo scheduled”), this can stop the sequence of emails. Please also note that currently Outfunnel sync is not real-time but run about every 4 hours, so there may be 1 min – 3 h 59 min delay in triggering the campaign. PS. Pipedrive’s new Automation feature can also be used for triggered emails, but in our view, these are better suited as one-off follow-ups with people you’ve already established a relationship with, rather than marketing campaigns. Worth checking out in any case.